Ask Sid: What’s the best way to cleanse your palate? 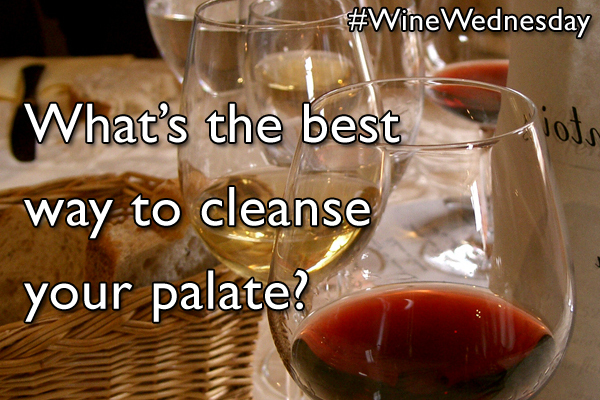 Question: What’s the best way to cleanse your palate? Answer: This is very personal and unique to every person. What you are trying to achieve is refreshing your mouth to give the next wine a new fresh independent opportunity not influenced by the wine tasted just before it. Saliva does quite a good job on its own. After many wines neutral water or plain bread or crackers helps with the build-up of tannins and refreshes you. A friend of mine likes special olives. Not me. Your nose can get fatigued too. Some of us wine judges sniff the water vapours from a water bottle to keep our nostrils moist. At the International Chocolate Awards judging chocolate does linger on your palate more than wine and there we use an effective “soupy polenta” that works well. A related question is how to refresh a wine glass a new pour of a different wine. The vast majority of people I see give the glass a quick rinse with water. Except in one condition, I disagree. I thinks water does more to ruin the next pour than the minor residue after vigorously shaking the the glass upside down after pouring the previous wine out. Most of what’s left is the alcohol base that every wine has, plus a very minor residue with some muted flavor. On the other hand, a rinse with water clearly dilutes the next pour for my taste. The condition I do use a water rinse is when the previous wine is strongly sweet with powerful flavors and aromas. But then I vigorously shake as much water out of the glass as I can.